Happy Paws Dog Sitting - Get Involved. Make Friends. Enjoy Motherhood. A MOD Moms Business. 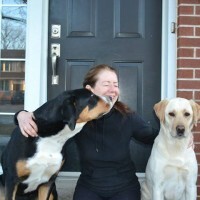 Dog walking/pet sitting service serving Superior, Louisville, and Lafayette. Bonded and Insured with Pet Sitters Associates, LLC.